According to the marketing material, it’s intended to mimic the results of the prescription weight loss drug Orlistat by providing many of the same benefits and delivering “ongoing fat loss through a variety of factors”. However, there’s a big problem here. The drug Orlistat is a fat blocker. That’s all it does. There isn’t a variety of factors involved. 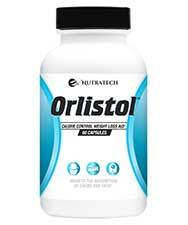 Nutratech Health’s Orlistol is designed to work as a fat blocker, a carb blocker, and an appetite suppressant. It’s a multifunctional diet pill. Not a dedicated fat blocker. 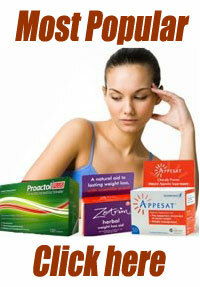 Fat blockers reduce calorie intake by limiting the digestion of food-provided fat. Each gram of fat that is blocked passes through the body without being absorbed and is unable to deliver the nine calories of energy it contains. The drug Orlistat blocks up to 30% of all fat consumed. Unfortunately, it’s also capable of causing nasty side effects, so a safer alternative is much to be desired. Orlistol contains seven ingredients. Only one of them is a fat blocker. The formulation also contains one carb-blocking ingredient. There’s an appetite suppressant too, but some of the inclusions have little to offer at all and will only serve to dilute the other ingredients and weaken the blend. Chitosan: An ingredient that attracts and absorbs dietary fat. The body cannot digest chitosan and any fat it captures becomes indigestible too. There are two kinds of chitosan. The most popular version is taken from the shells of crabs, lobsters, and other sea-living crustaceans. The most powerful form is obtained from a species of fungus (aspergillus niger) and the results of one study show it can reduce mean body weight by up to 3kg in 90 days. It’s unclear which version Orlistol contains. Phaseolus Vulgaris: More commonly known as white kidney bean, phaseolus vulgaris is a popular carb-blocking ingredient. It stops carbohydrate digestion by suppressing the activity of an important enzyme called amylase. Garcinia Cambogia Extract: A respected appetite suppressing ingredient. The key component is hydroxycitric acid (HCA) and it also has the ability to scupper the growth of fresh fat cells within the body. Apple Cider Vinegar: A lot of wild claims are made about the benefits of drinking apple cider vinegar, and many celebrities, including Victoria Becham, swear by it. Claims are often made about research that shows it can reduce sugar cravings and help burn fat, but links are never provided and we were unable to locate a study of this nature at any of the normal sources. Sylvestre: Sometimes referred to as a sugar destroyer, gymnema sylvestre is a popular herb in the Ayurvedic system of medicine. An article published in BioMed Research International refers to it as “an important medicinal plant” and states it can control sugar cravings, promote regeneration of the pancreas, and provide a number of other favorable benefits. Aloe Vera Extract: An ingredient that’s sometimes used in skin-care preparations and is also known to function as a laxative. California Buckthorn: Also known as cascara, California buckthorn is generally used as a laxative. It was often paired with aloe vera in over-the-counter remedies for constipation, but this has not been the case since 2002 because safety concerns caused the FDA to issue a ban. Usage Guidelines – Orlistol is meant to be used before meals. The maximum dose is four capsules per day, but deciding how many pills to take is likely to be a bit of a pain because strict calorie counting is needed. If the upcoming meal provides 500 calories or less, only one capsule will be needed. If it provides more than 500 calories, the dose has to be upped to two capsules. Most other diet pills are a lot easier to use, so this complicated way of doing things is unlikely to work in Orlistol’s favor. If you skip the on-site testimonials Nutratech use to push the virtues of their product, and seek less biased sources, you’ll find customer feedback is a pretty mixed bag. Some people say Orlistol works, others say it does not. Nutratech issue a standard warning that points out pregnant and nursing mothers, and children under 18, should get a doctor’s advice before using the product. The same suggestion is made to people who have existing health problems, but the possibility of side effects is not mentioned. The company also fail to state which version of chitosan is in use. If it’s not the fungi based version it will not be suitable for anyone with seafood allergies, so anyone who has this problem would be wise to choose an alternative product instead. It’s also worth noting “blocker” type supplements can sometimes cause stomach discomfort and/or a build-up of intestinal gas. Fat blocker usage can also result in a deficiency of certain fat-soluble vitamins, so fat blockers are best used alongside a vitamin supplement that can take up the slack. People who wish to buy this product appear to be limited to two options. They can buy it from the manufacturer’s website or order it from Amazon. The price is the same. A 60-capsule bottle costs $39.99. If you think that’s cheap, try to contain your excitement. People who take the maximum dose (4 capsules a day) will find their bottle of Orlistol only lasts 15 days. So the monthly cost of using this product will be closer to $80. The homepage of the Nutratech Health website states the company’s products are backed by a 31-day money back guarantee. The Refunds and Returns page say’s the guarantee is only good for 30 days. Either way, that’s not long and the countdown begins at the point of purchase, not when products arrive at a customer’s door. Orlistol cannot be seen as an Orlistat replacement because it’s designed to provide benefits the drug does not. It may still have value as a weight loss aid, especially if it’s used with diet and exercise, but customer reviews suggest it’s just as likely to let people down. The formulation would probably be greatly improved if all the other ingredients were removed in preference for a higher dose of chitosan. That would allow Orlistol to be a dedicated fat blocker and work in the same way as the drug its intended to mimic. It would also increase the chances of appetite suppression and, although the prescription drug does not offer that kind of support, appetite suppression is still a good diet pill feature because fighting hunger urges is hard and most dieters would be glad of some extra help. In the is category of diet it is difficult to look at any thing beyond PhenQ – a true multi action diet pill that can burn and block fat while also reducing calorie consumption by suppressing appetite. 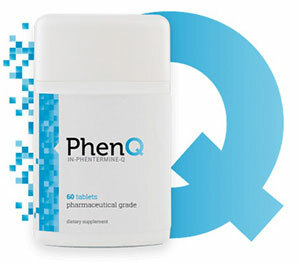 PhenQ has a long list of satisfied customers and is available to buy direct from the official website.